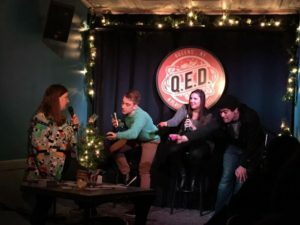 Every 4th Thursday of the month, you can catch host Zoe Yellen with three of her most daring friends completing outlandish tasks and answering trivia questions. In between rounds, you’ll find some of New York City’s best stand ups and sketch comedy groups showing their stuff. Audience involvement and alcohol consumption are both highly encouraged in this one of a kind comedy escapade.